Many people believe if they need to go into a nursing home or have home care because they cannot take care of 2 of the 6 activities of the daily living that Medicare or their Health insurance plan will provide coverage for them. 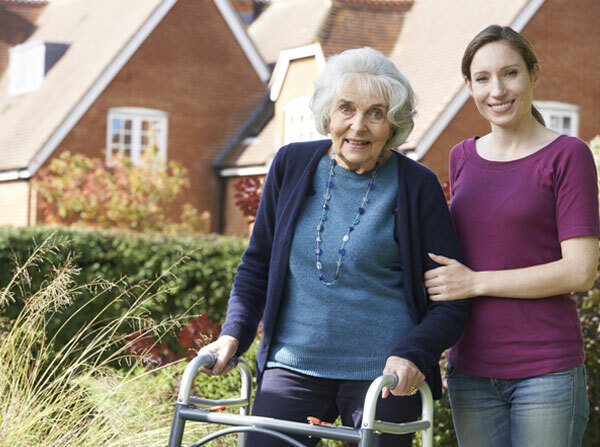 There may be a small amount of coverage, but an extended stay in a nursing home can cause financial distress not only for the patient but for the son or daughter that may be asked to be a care giver for their parents. A Long-Term Care policy or hybrid life insurance plan could be the answer to this potential financial problem. The best policies pay for care in a nursing home, assisted living facility, or at home. Benefits are typically expressed in daily amounts, with a lifetime maximum. Some policies pay half as much per day for at-home care as for nursing home care. Others pay the same amount or have a “pool of benefits” that can be used as needed. The inability to perform two or three specific “activities of daily living” without help. These include bathing, dressing, eating, toileting and “transferring” or being able to move from place to place or between a bed and a chair. Cognitive impairment. Most policies cover stroke and Alzheimer’s and Parkinson’s disease, but other forms of mental incapacity may be excluded. Most policies have a “waiting period” or “elimination” period. This is a period that begins when you first need long-term care and lasts as long as the policy provides. During the waiting period, the policy will not pay benefits. If you recover before the waiting period ends, the policy doesn’t pay for expenses you incur during the waiting period. The policy pays only for expenses that occur after the waiting period is over, if you continue to need care. In general, the longer the waiting period, the lower the premium for the long-term care policy. 1. 1=7 Elimination period. Under some policies, if the insured has qualifying long-term care expenses on one day during a seven-day period, he or she will be credited with having satisfied seven days toward the elimination period. This type of provision reflects the way home care is often delivered—some days by professionals and some days by family members. 2. Guaranteed renewable policies must be renewed by the insurance company, although premiums can go up if they are increased for an entire class of policyholders. 3. Waiver of premium, so that no further premiums are due once you start to receive benefits. 4. Third-party notification, so that a relative, friend or professional adviser will be notified if you forget to pay a premium. 5. Nonforfeiture benefits keep a lesser amount of insurance in force if you let the policy lapse. This provision is required by some states. 6. Restoration of benefits, which ensures that maximum benefits are put back in place if you receive benefits for a time, then recover and go for a specified period (typically six months) without receiving benefits.